Whoever put this up either put a lot of thought into this, or didn't think about what they were doing. This 3-hole punched paper sign is hung on the wall with an anti-theft ink tag. Attempting to pull this sign out of the wall would likely cause the pin to crush the glass ink vials, creating a big mess. 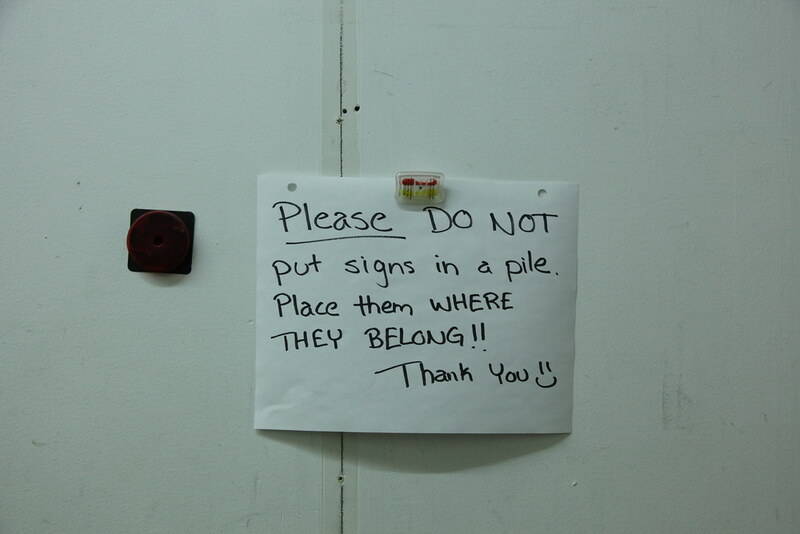 And ironically, they're just trying to keep the back room clean. Props also for writing a sign all about signs. It reads, rather emotionally, "Please do not put signs in a pile. Place them where they belong! Thank you!"